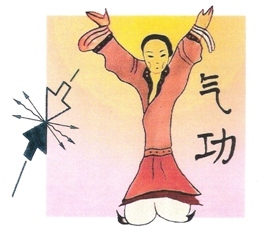 There are surprising junctions between qigong and modern physics with the complementarity of internal and external methods of experience as a point of high significance. This complementarity can be experienced in qigong exercises. The subject is approached with easily comprehensible remarks on Daoist philosophy, mysticism and quantum physics. No previous knowledge is required. The exercises have been specially selected for their relevance to the issues discussed in the theoretical section. Theory and practice are combined to form a well-balanced seminar. Imke Bock-Möbius: 'Qigong Meets Quantum Physics. - with a demonstration of selected Qigong exercises (last 7 min).